I can't get over how much this baby girl has changed since her first photo shoot at the beginning of March. Her kissable cheeks, her big blue eyes, the rolls in her arms, her smile are all just to die for. 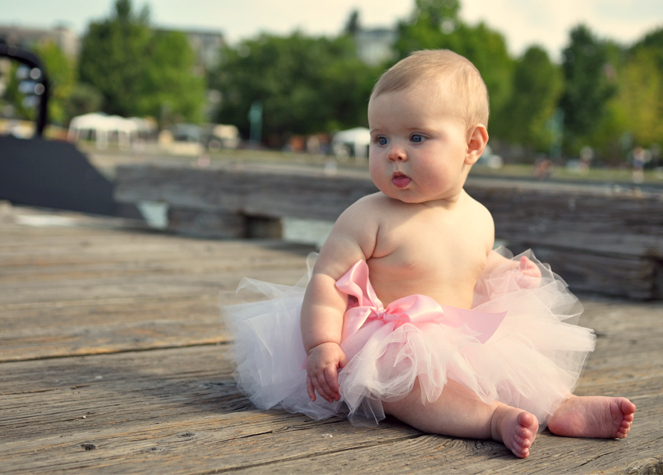 And how cute is the tutu with a naked belly?? 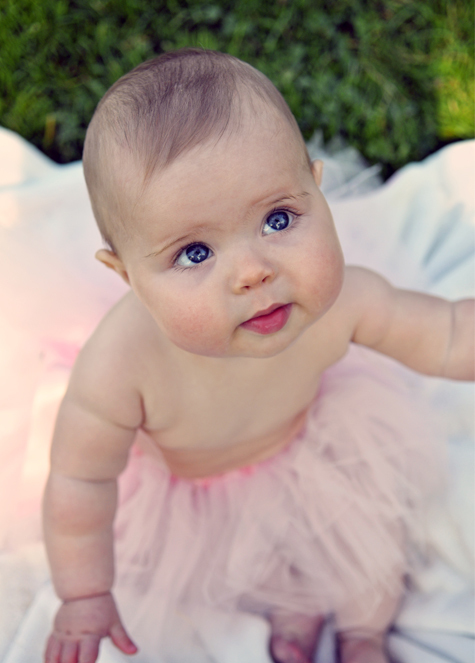 I have to give a shout out for the tutu designer at Sweet Marguerite because they're local and make such adorable tutu's. Amelia's mom found her ad through her Etsy shop (which I LOVE), realized she was local so she went direct to her shop to pick this tutu up for the shoot. Precious! She is an adorable little girl! Great job as usual! My favorite is the last one. I love those eyes and red lips. So cute. Those pics turned out GREAT! The tutu really makes it. Amelia will love love love these pictures when she is older! 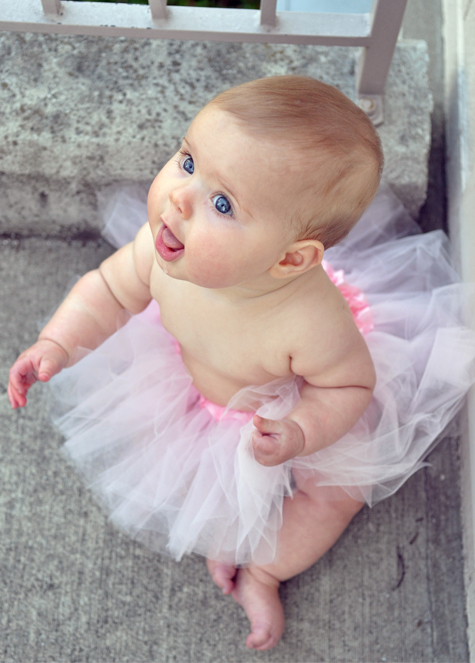 LOVE the tutu. I will be getting Maddy one for her first b-day! OMG! That last shot is incredible! And those blue eyes...I am in love! Great job Erin! As usual you captured some fantastic shots! What BEAUTIFUL photos friend!!!! I can't wait!!! I have to agree that the last shot is my favorite as well - I knew after I took it and looked at it that the lighting just happened to be perfect (hardly any edits done to that photo). Delane - can't wait for your maternity shoot in less than 2 weeks! what an angel!! Love these pics, esp the last one like everyone else! I am so in love with these photos...Amelia is such a doll. Great job! AMAZING Erin! 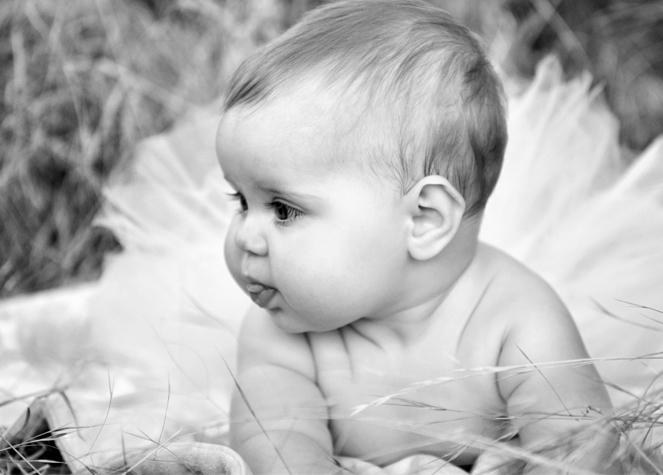 What a gorgeous little girl...the photos captured her so perfectly! Oh my goodness.. what an angel!